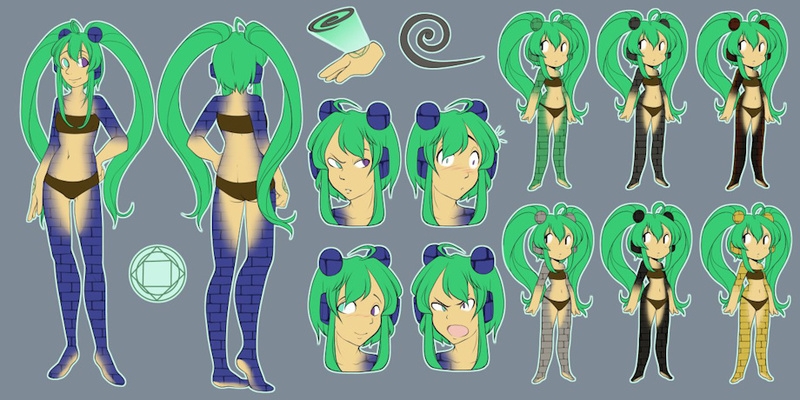 Got a ref for my little golem girl. Adorable thing, and she can be any of the seven colors shown. Not just blue. Ularia is a golem built by my werepire, Zarik, while going over some old blueprints she had found in a ruin. She now serves as her constant companion and guardian, attacking any threats to her master without mercy. Her personality is a bit difficult to explain for me. Umm... imagine her with the personality of KOS-MOS from the game series Xenosaga. She looks like she's pack a wallop o_o .